Good morning! 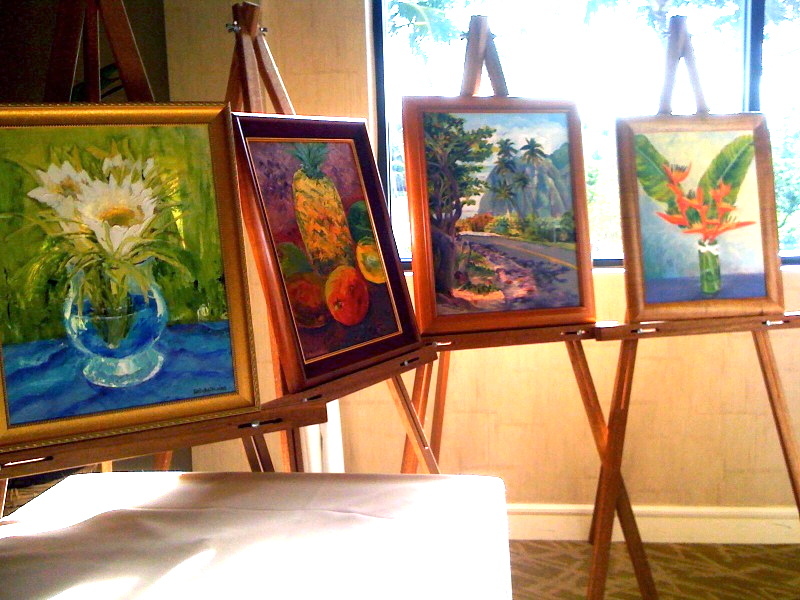 It’s Day 4 at the Hawaiian Civic Club convention at the Turtle Bay Resort on the North Shore of Oahu, where I’m showing some of my paintings. It’s a hard sell against Aunty May’s banana bread, Kamakea’s colorful baubles, kulolo from Kauai, Makaweli poi, maile plants from Hawaii island, faux flower hair ornaments, yarn lei, and Aunty Phyllis’s Hawaiian print pillows — none of which are three figures like my oils! On Day 1 I spent the time making a wili lei for a friend’s father’s memorial in the Midwest, and delivered it to the airport in time. Day 2 and 3 offered a bit of down time when the convention was in session. To make it more interesting I’ve decided to paint on location today with my French easel and oils, making use of time and place. 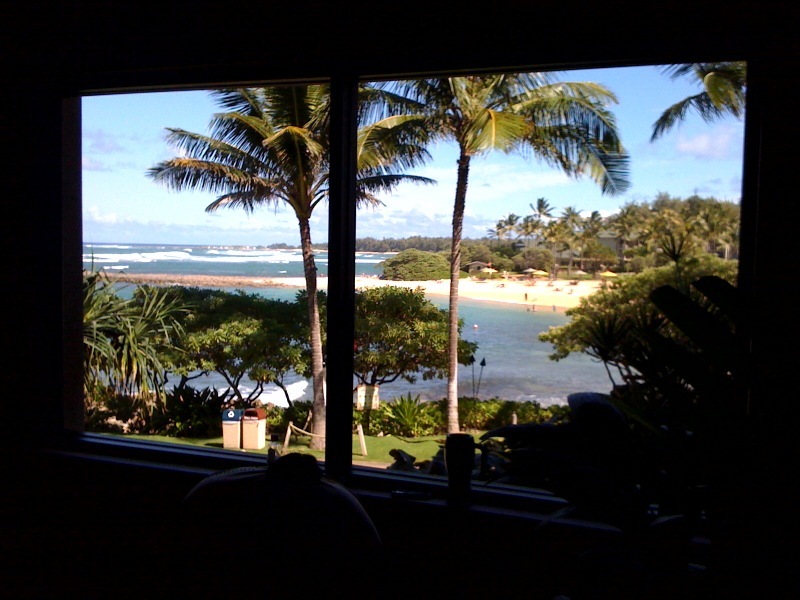 Because this is the view from the window. Yeah! Thank you for the compliment! “Cereus Portrait” of the night blooming cereus found a a buyer. I love to paint. That’s how I make my income. I’ll be teaching my charter class in oil painting next month. I am reading with interest your travel posts about Italy, as members of my family – including grand kids – are moving there from Hawaii. Do you have any posts about Napoli?